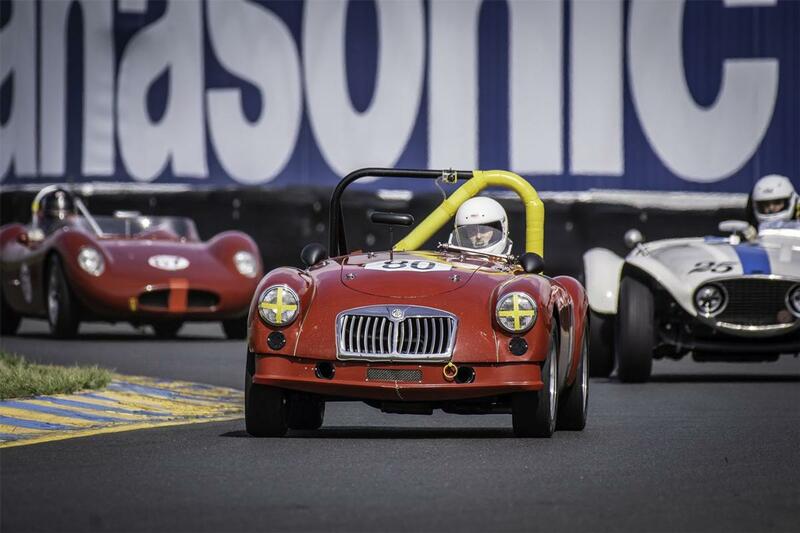 The Classic Sports Racing Group (CSRG) will open its 52nd race season at Sonoma Raceway this weekend with the David Love Vintage Races, April 13-14. 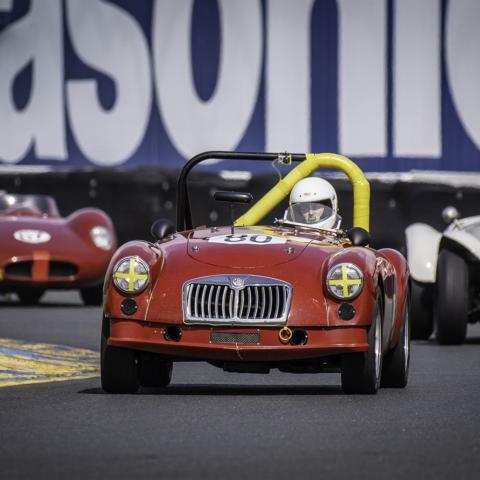 The anticipated season-opener will bring more than 300 historic and vintage cars to the wine country racing facility, including classics like Formula Fords, Trans-Am, and production cars and sports cars principally from the 1950s through the '80s. Spectators can also expect names like Ferrari, Porsche, Maserati, Lotus, Cooper, Lola, and others to fill the paddock for an incredible display of cars. The event features eight race groups, including three special Run Groups, each of which are part of a race series for the types of cars from the 1950s and early 1960s for which CSRG was founded a half a century ago. The USRRC Group 4 for Sports Racing and eligible Production and GT cars will kick off its inaugural season during the event with some of the most beautiful sports racing cars from the mid to late '60s. Additionally, over 50 drivers will relive intense Formula Ford racing in the second round of the Formula Ford Crossflow Cup Championship, which includes some of the closest racing ever. The third Special Group is part of the John Morton Cup, a four-race series created for small sedans from the '60s & '70s. Named after the dominant driver & champion of the Trans-Am Under 2.5 Challenge, John Morton, the series has two classes, the Heritage Group & the CSRG Touring Cars class. The event is named in honor of David Love, a longtime Bay Area resident and CSRG co-founder, who passed away in 2013. Love was a racer like few others. He began racing in the 1950s with a series of Porsches, Morgans and even Formula Junior. He later purchased the car with which he was most often identified, a 1958 Ferrari Testarossa, which he raced virtually uninterrupted from the '60s through the '90s at West Coast vintage events. This weekend's event will feature practice and qualifying on Saturday, with main events slated in each of the eight race groups on the 12-turn, 2.52-mile road course on Sunday. Spectators will get full access to the cars, drivers and mechanics in the paddock. For the spectator, this is a chance to do some time travel back to the '50s, '60s and early '70s to see the evolution of race car design and development among some of wine country's most scenic settings. Fans can also enjoy an array of delicious food, wines and local craft beer. Gates open at 8 a.m. each day. Admission is $25 per day or $40 for a weekend pass, which includes parking, as well as access to the paddock and all spectator areas. The David Love Vintage Races is a family-friendly event. Children 12 and under are admitted FREE. Kids are invited to sit in some of the race cars and get an up close look at these beautiful, vintage machines. CSRG will return to Sonoma Raceway, Oct. 4-6, for the 16th annual CSRG Charity Challenge, which benefits Speedway Children's Charities. For more information on the Classic Sports Racing Group, visit www.csrgracing.org or for information on the David Love Memorial Races visit https://www.lovememorialraces.com/.